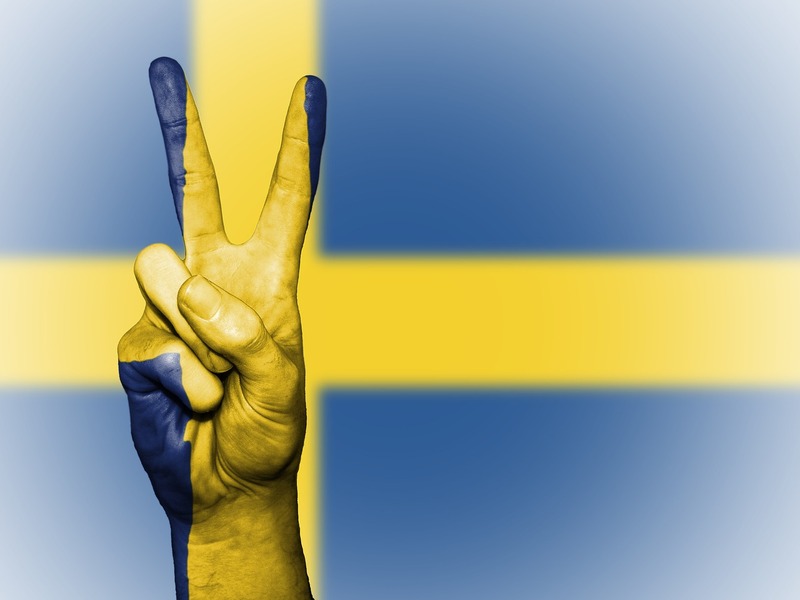 Yesterdays tragedy in Stockholm was a surreal awakening that the Sweden of old is since long gone. As such this attack upon Swedish society was just a question about when and not if? Sweden has before been the target for Islamic terrorism, the Christmas of 2010 when the islamic militant Taimour Abdulwahab from Tranås, who had become radicalized in Luton, that is infamous as a holdout for islamic radicals, blew himself up in central Stockholm in the midst of people doing their Christmas shopping. However Abdulwahab only succeded in killing himself and perhaps due the lack of other killed Sweden continued it’s apologetic stance towards radical interpretations of Islam. The fear of being labeled as islamophobic and racist is very much a reality in Swedish public life. Yesterdays terrorist didn’t use means that require special skills or connections on the black market, he used a stolen ordinary heavy truck, just like the terrorist in Nice did. (It was later found that the truck also contained an explosive devise that luckily did not detonate however.) Once again this clearly shows that symbol politics with easy fixes can’t deal with the hatred that politically and religiously motivated terrorist unleash against our open society. Ironically the Moderate Party the same day as death came to the streets of Stockholm, in form of a stolen truck, gave the Socialist Government green light to vote yes to the EU’s Firearms Directive. All other liberal and conservative parties opposed this. Seemingly good relations with Brussels are more important than standing up for the ideals of individual freedoms and civil rights. Hence the Moderates teamed up with socialists and greens. But how can you protect society against individuals who in the name of religion are willing to steal trucks and mow down innocent civilians along a walk street with the intention of killing as many as possible? The answer is that you can’t, and definently not through pointless symbol politics aimed only against law abiding citizens. The greatest chances to combat terrorism is through intelligence, improved border control, social efforts in areas that suffers the greatest risk of domestic radicalization and a review of the legal system how we define subversive activities. Swedish society must have a debate where the boundry lies between freedom of religion and free speech and views when it comes to things like for instance salafist mission activities. What constitutes subversive activities? To put yourself in the service of a terror organization, to recruit and finance such activities must be definied as terrorism. Subversive activities and organization of illegal militia are illegal in Sweden and yet a monumental leniency has been showed towards such activities. Two men that where recruiting for ISIS and financing the organization were recently only charged for fraud, not terrorism, here in Sweden since the legislation of freedom of organization was deemed as more important. This debate must in the light of the tragedy in Stockholm be held and it will not be an easy one in a political climate in which every form of criticism related to Islam has been labeled as “fishing in murky waters”. The political paradigme in Sweden must change if not more innocent people are going to die in streets due to acts of terrorism. Sweden is a remarkable country in so may ways. However, recent events provide definitive proof that if you impose on any society large numbers of people, who neither share your cultural beliefs and values (even before adding the religious element), nor have any motivation or intent to integrate or contribute to the host society, there are consequences. For a liberal, Western, predominantly Christian society, these are potentially disastrous. Add to that a complete inability to remove those whose claims for asylum, refugee status or citizenship have been refused (as in this instance), and you have the perfect storm …someone that neither shares your beliefs and one who now active hates the host nation. It is hugely frustrating that, instead of having ‚an intelligent conversation‘, political correctness, especially within the media and politics, steadily erodes popular confidence in the legitimate organs of government and the State at a time when national security services and police forces need the help and support of the population the most. The European Firearms Directive serves as an excellent example of how the European Commission, and its other institutions, far from addressing these issues, seeks to deny, distort and deceive, targeting those it can (the law-abiding) rather than those it should (terrorists, criminals and malcontents); if all you do is penalize good behavior, bad behavior becomes the norm. It is hardly surprising, therefore, to see a steady rise in those across Europe who are questioning the European Union’s existence, purpose and vast cost …as with all the great ‚empires‘ in history, they are usually the cause of their own demise. Europe has been invaded by the nirth qfricqn qnd asian hordes brought in by that communist Merkel as well as by years of colonization with people from former french, english or dutch colonies. So here you have it western Europe. In less than 25 years you will have a racial war in Europe. You don’t believe this? Just wait and see. Why do you think they want to disarm all europeans? Yes yes, we in eastern Eurooe had this when the communists came to power in 1945-46. THEY WERE AFRAID OF PEOPLE. So they took everyone’s guns away so that people would not eventually be able to defend themselves against the ARMED government. Yes yes the EU government is communist. Merkel is a commie… DON’T EVER GIVE IN YOUR GUNS. DECLARE THEM LOST. THAT’S ALL.